By now you may have felt the buzz around our latest product, The Rich Training SocialSite. These revolutionary new websites are supporting and transforming how we do business online with real-time updates, and quality lead generation. 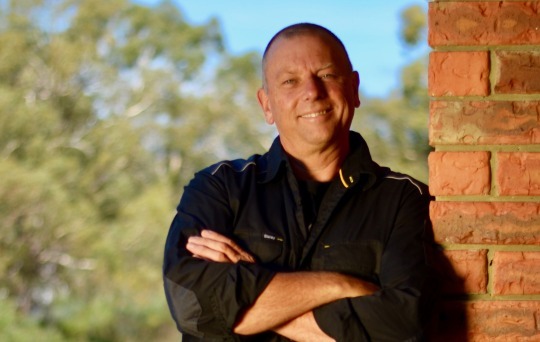 We caught up with Tasmanian based Builders Business Coach Mick Hawes who generously gave us some time to talk about his SocialSite experience. 1/ What can you say about your new SocialSite? I really love our new site, it looks and works beautifully! 2/ What do you like most about your SocialSite? One of the best parts of the site is the way it’s pulling new content from various places which keep the site up to date and that’s also great for google rankings! 3/ What are your favorite features? I quite like the chat function. You can begin conversations with people while they have the momentum to find what they’re looking for, and it’s so cool you can be anywhere and simply start a conversation and building a connection. It’s a great way to qualify people and find out where they might be in their buying journey and you can point them in the right direction and keep connected until they’re ready for your services. Great time saver! 4/ What was life like before your SocailSite? Frustrating! always having CEO experts telling you your site needs fixing and it’s not performing and it always felt like so much work to keep it fresh plus you had to learn how to use your site yourself or wait for an age and pay a fortune for some web developer to update your site. Not anymore! 6/ How was your experience with RichTraining building your SocialSite? The team at RT are second to none. They help you get super focused on the purpose of the site to give you the optimum chance of it being a genuine investment and create returns. Not just a “Pretty” site! 7/ Would you recommend an RT SocialSite for others and if so, what would you say? Already have! I believe around 7 of our clients are already on the path to not only a new brilliant site but the email marketing platform, social media makeover and new eBrochure which makes a perfect package. It’s exactly what I’ve been looking for, for my clients!